Manchester Metropolitan University, The University of Liverpool Management School and The University of Manchester, Alliance Manchester Business School share a close geographical proximity in the North-West of England and significant academic expertise and leadership in the area of International Business and related areas. 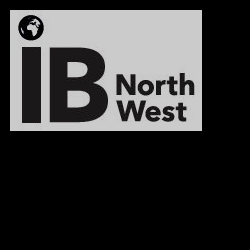 IBNW is a network group initiative that seeks to bundle the existing IB resources around common research and publication interests in the partner institutions. IBNW works as a sub-group within the AIB-UKI chapter with a view of optimizing constructive collaboration and maximizing academic productivity. In the fast changing global economy, the need for cross-disciplinary approaches to phenomena such as the rise of multinationals from emerging economies, poses challenges that cut across the fields of international management, economics, finance, and international business. Meeting the challenges of managing in this rapidly evolving environment, means that a Special Interest Group is needed to both identify and anticipate the new research agenda, and to muster resources to enhance our capacity to develop our academic skills and to lead the way to creating an environment in which academic research will engage with the non-academic community, in particular government and the commercial international business community. Shaping the future research agenda through a programme of events held during the year and at the annual conference.